In between our editorial work we do for this website and magazines, we occasionally do some commercial work. All small scale and not really worth mentioning. 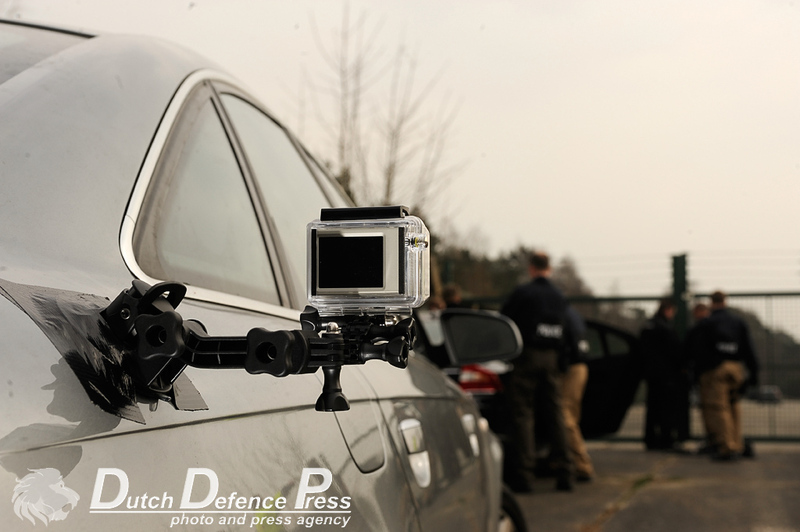 But when some months ago we got a call if we were interested in doing film and photography for Holmatro’s new Special tactics line, we were on our biggest commercial adventure so far. 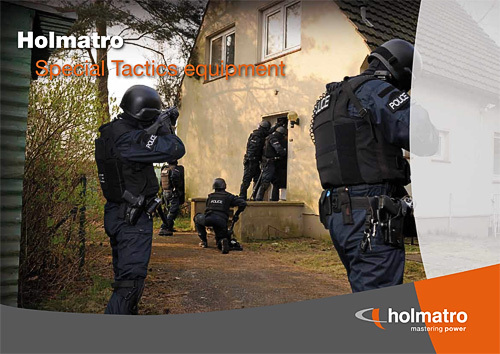 Holmatro is the world wide leader in hydraulic rescue equipment and would be launching a new line of equipment aimed at law enforcement and the military. 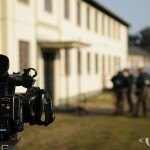 Our friends at Safe Tactics who are the distributors and also provide training on the equipment, thought our journalistic experience would be perfect for this job. 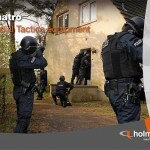 Holmatro was not looking for a flashy commercial but for a realistic portrayal of their products. 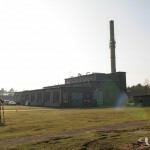 This is how we found ourselves halfway through March for two days at the BOTC Weeze just over the border in Germany. Us being Andrew Balcombe as our lead cameraman, Leo van Westerhoven as second film and stills cameraman and myself as lead photographer and mobile camera technician. 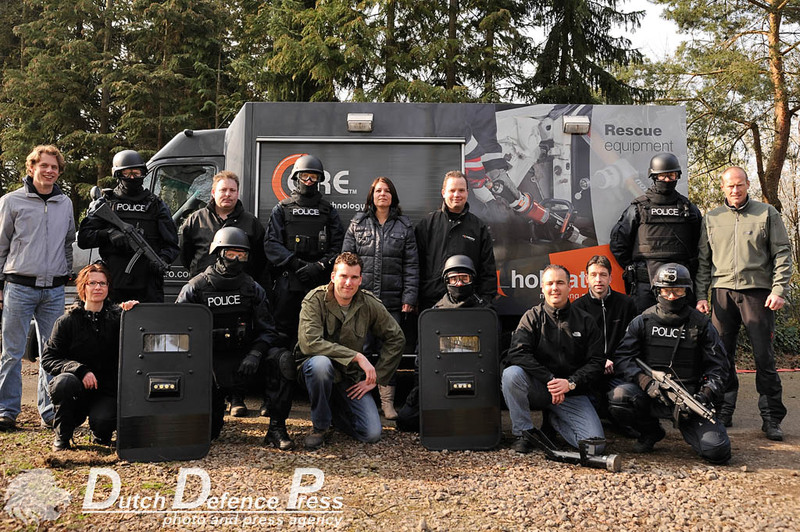 Holmatro was represented by the sales team and a team of technicians. Safe tactics took care of safety and were responsible for making it all look real. 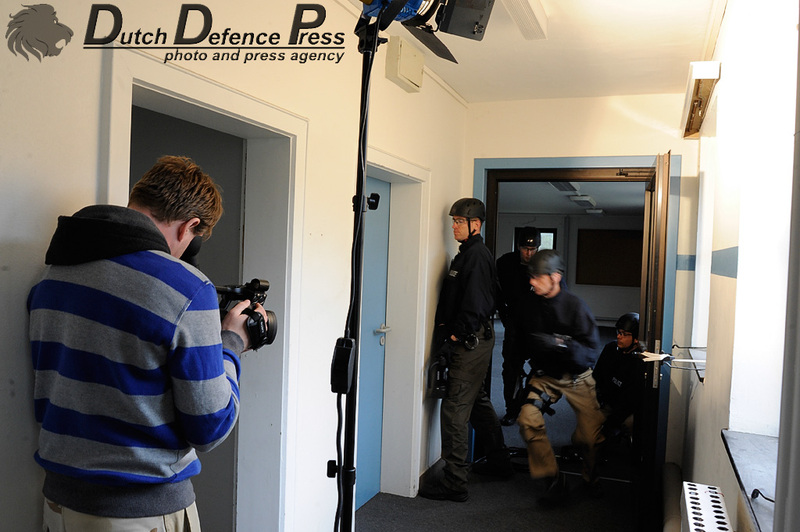 We only had two days to shoot five short films highlighting the new equipment in live-like scenario’s. Luckily for us the weather was perfect. We had planned each scenario in detail and Andrew even went to the site a few weeks before to scout the locations. But still we were pressed for time. When you want to do things perfect, time really flies. But all crews did an outstanding job and we are proud of the results. 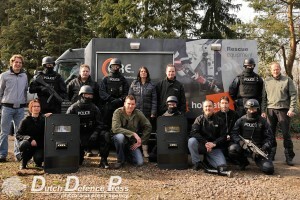 We would like to thank the people at Holmatro and Safe tactics for the opportunity and good times. 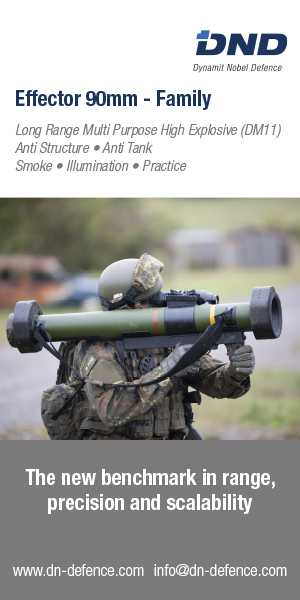 Below are the five short movies we shot and the brochure with our images can be found here. Below are some behind the scenes images taken by members of the Holmatro team, mostly by Pim van Dongen. SUPER filmpjes..vooral de “fence entry”. Goede producten van Holmatro. Keep up the good work ! 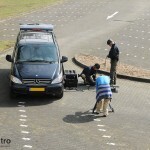 Tekst, fotos en footage..uiteraard goede kwaliteit. Klasse.